You might be surprised at how much pressure parents can unintentionally put on their students. With student stress levels ever on the increase, one admissions officer has searing advice for parents. Susan Svrluga of The Washington Post recently shared insights from an admission officer's blog post. The post goes against conventional wisdom, urging parents to take the pressure off by forgetting about prestige and achievement. Success, she says, should not be defined by an acceptance letter to any school, but by a student's personal development. Self-motivation and personal accountability are far more valuable than a degree from a "top school." In essence, parents need to "let Harvard go" and refocus their energy on wholeheartedly accepting their student. You can read all of Syrlunga's summary here. 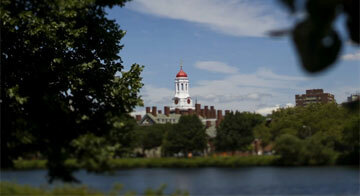 How do you feel about parental pressure during the college admissions process? We would love to hear your comments below.